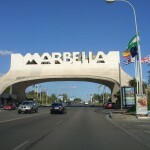 MarbellaMarbella.es website is launched | Marbella Marbella – Adelante! The launch of the MarbellaMarbella.es web site marks a great day for the Costa del Sol. Inspired by artist Dario Poli’s Marbella Marbella campaign to enhance Marbella‘s reputation worldwide, this website is a mirror of what happens on this beautiful stretch of coast. Local news, events, business information, celebrity gossip, lifestyle articles, you name it. Is it related to this place then you will find it here. Please get in touch with any feedback!